Another massive long and sinuous coronal hole is cutting across almost the entire face of the southern hemisphere of the sun and is facing Earth. Major quakes may well feature in the coming days or we could have a run on volcano eruptions which is what happened at the end of last month when another massive coronal hole faced Earth. THE SOLAR WIND HAS ARRIVED: As predicted, today Earth is entering a stream of high-speed solar wind. 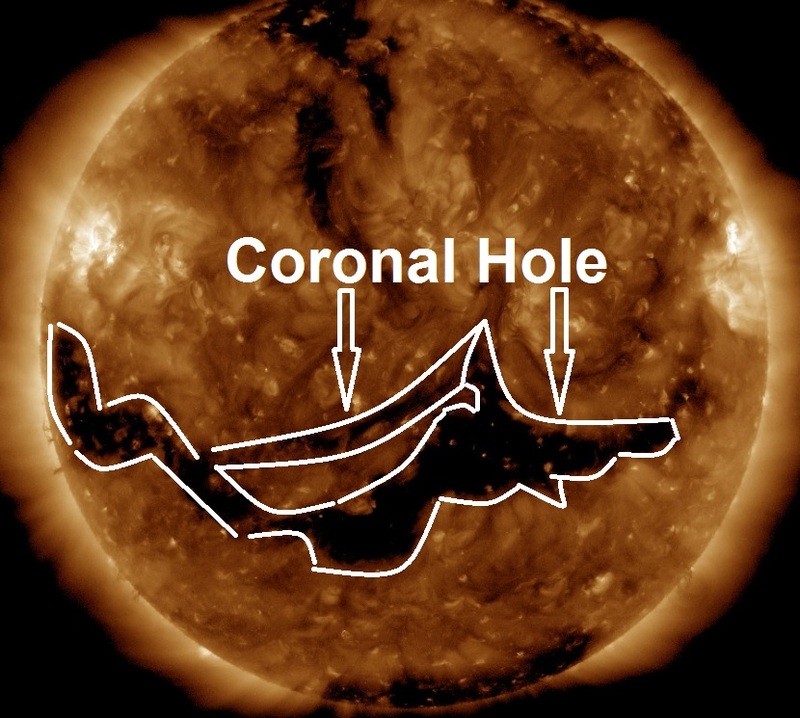 Flowing from a canyon-shaped hole in the sun's atmosphere, the stream could affect our planet for at least the next two days, reports Spaceweather.com.